Cast iron skillets are so easy love. Whether inherited from a beloved grandmother, found at a bustling flea market, or purchased brand new, the origin of these durable and dependable skillets doesn’t really matter. Once one makes its way into your home, it will soon become a treasured kitchen staple. Fortunately, the beauty of cast iron doesn’t end there. In fact, there are many affordable cast iron pieces available that are just as wonderful as your favorite skillet. 1. Dutch Oven – No kitchen is complete without a cast iron Dutch oven. There are many choices available, especially now with the increasing popularity of the enamel finishes. Although the colorful designer styles are beautiful – they can get a little pricey. Fortunately, you can still find the simple ‘campfire’ or ‘raw’ varieties of cast iron at a very reasonable price. 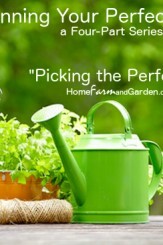 Both the designer and raw styles work extremely well – after all, the quality is in the cast iron, not in the color! 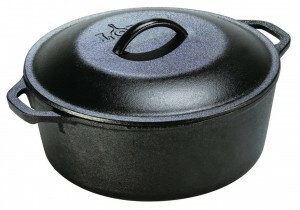 When you shop, choose a Dutch oven that is heavy, with sturdy handles, and a good fitting cast iron or heavy glass lid. A good cast iron Dutch oven can be used on top of the stove to make soups and stews or it can be used in the oven to make roasts and casseroles. 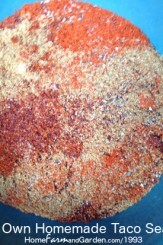 You can even take a “raw” version on your next camping trip to whip up some delicious meals over your campfire. Aside from your cast iron skillet, your Dutch oven will be among your most often used cookware. – Although you may long for a stove with a built-in grill/griddle combination, it may not be a realistic option in the near future. However, you may be surprised to discover how easy and fun it is to cook with a cast iron version. 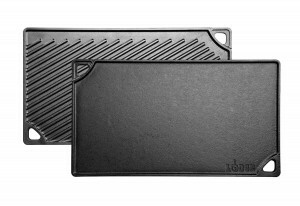 Just heat up your cast iron griddle and you will feel like a short-order cook in no time! Cast iron is so versatile, you’ll soon be frying up crispy bacon, golden brown pancakes, and perfectly done eggs without having to wash several pans or mess around with a bunch of specialty appliances. Plus, the grill side makes those nice grill marks that make everything you cook look so wonderful. For some reason, food that looks good seems to taste better, too. 3. 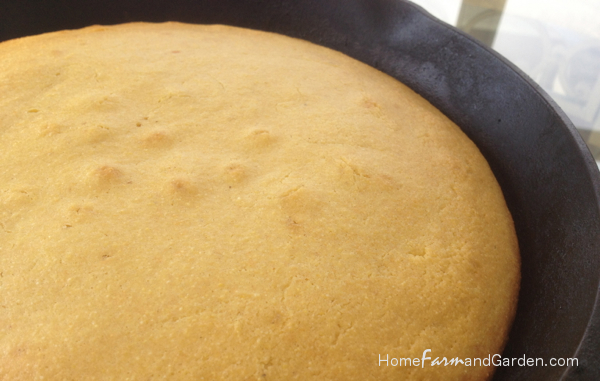 Muffin, Biscuit and Loaf Pans – The best part of making cornbread in a cast iron skillet is the golden crust that forms around the outside of the pan. When you use cast iron muffin or loaf pans, you’ll end up with even more of that golden crusty goodness. 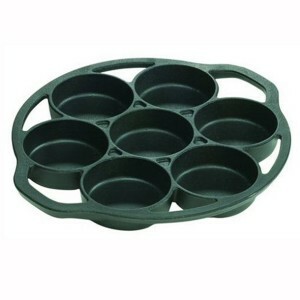 In addition, you can use cast iron muffin pans for all sorts of muffins, biscuits and other individual serving size dishes. Switching to cast iron loaf pans for bread results in consistently golden brown crusts – with no scorched bottoms. – To re-create that restaurant-style sizzle when your fajita or steak comes to the table, you can’t beat individual cast iron serving platters. Just heat the platters in a hot oven, and when your meal is ready to serve, carefully pull the platters from the oven and plate them up for that mouth-watering siz-z-z-z-z-le everyone loves. You can also find sizzle platters with heat-resistant carriers so all you have to worry about is making enough food so you don’t run out when everyone asks for more! Besides the fun restaurant-quality presentation you can achieve with these individual serving platters, they offer the added bonus of keeping your food warmer longer. This is a great idea when you’re cooking and serving outdoors. No more chilled plates on the picnic table, which makes sizzle platters both fun and practical. A good set of cast iron skillets is a great starting point for every kitchen. But, once you get your basic skillets seasoned just right, isn’t it time to expand your horizons? 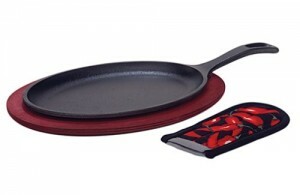 These four fun pieces will open up a whole new world of cast iron cooking in no time. From roasts to soups to breads to the lazy weekend morning breakfast extravaganza, cast iron cookware does it all – and does it deliciously!